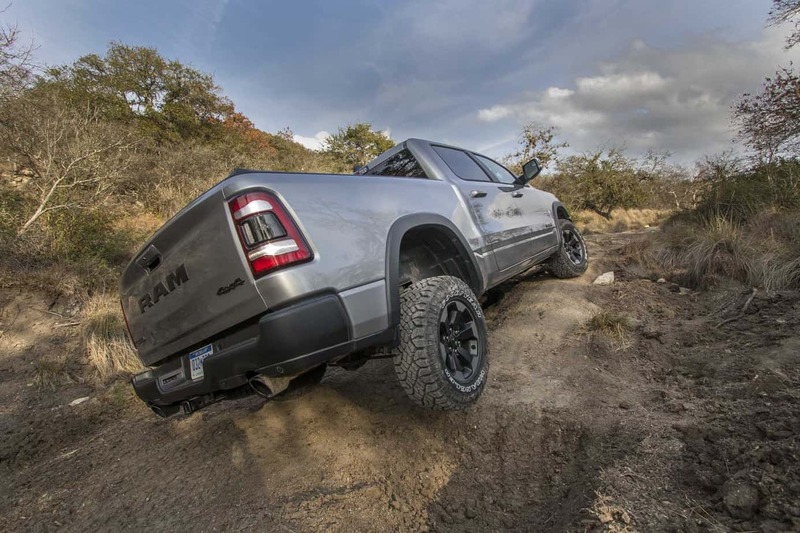 A few months ago we shared with you a preview of Ram Truck’s new 1500, a from-the-ground-up redesign of one of America’s favorite half-ton pickups. Earlier this month we spent a few days near San Antonio, Texas, testing various configurations not only on the trail, but also tracing hundreds of miles of twisting tarmac, some of which with a heavy trailer in tow. 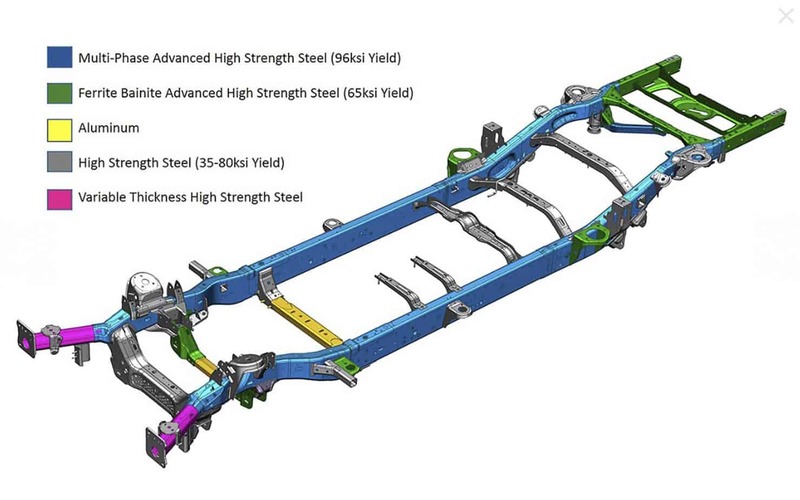 The majority of the 1500’s chassis (98 percent) is now crafted from high-strength steel, which has improved rigidity and reduced mass. 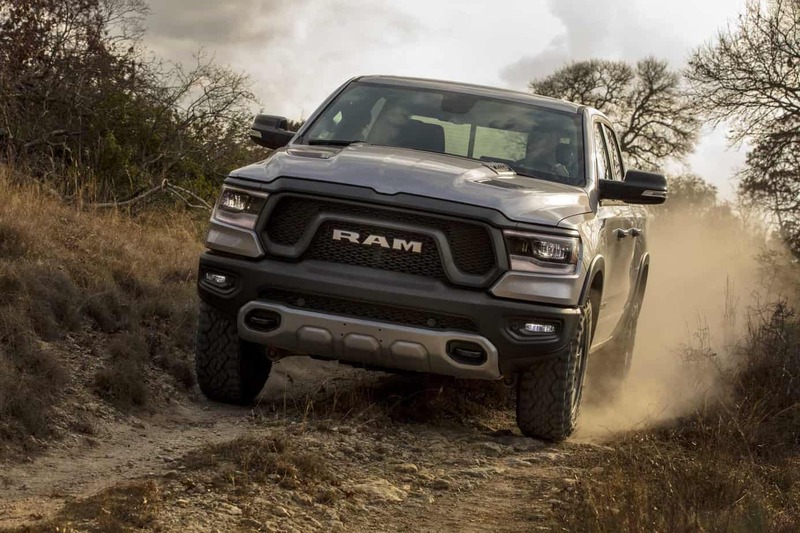 It features what Ram calls “splayed frame rail technology” and foot-well tire blockers, energy absorbing zones that protect occupants during a collision. 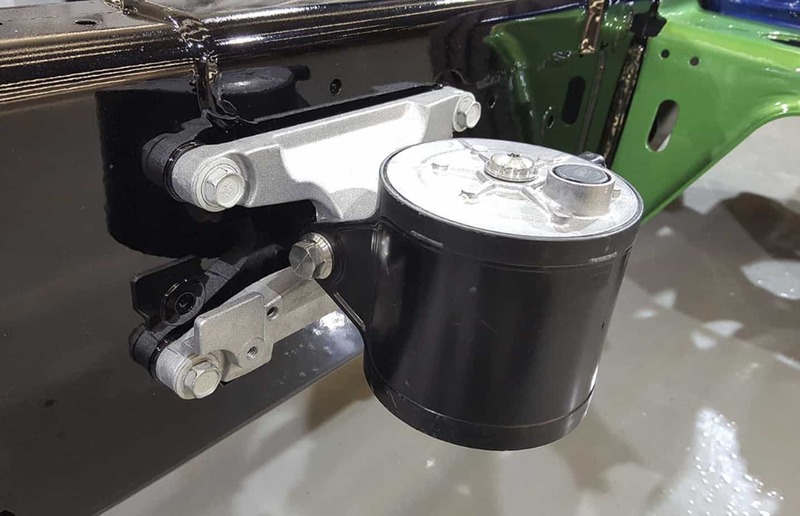 Additional weight-saving components include composite and aluminum control arms, crossmembers, and engine mounts. 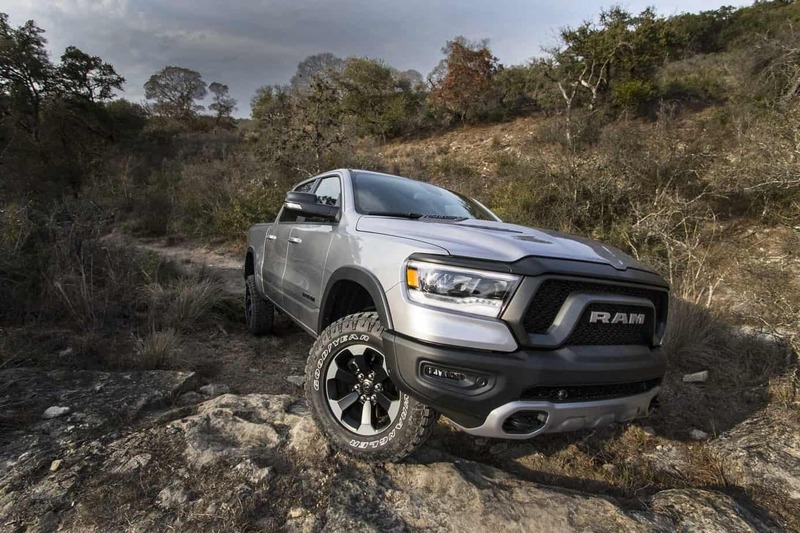 HEMI-equipped models have frame-mounted, active tuned mass modules (ATMM) to reduce the vibration and in-cab noise levels associated with the engine’s cylinder deactivation feature. 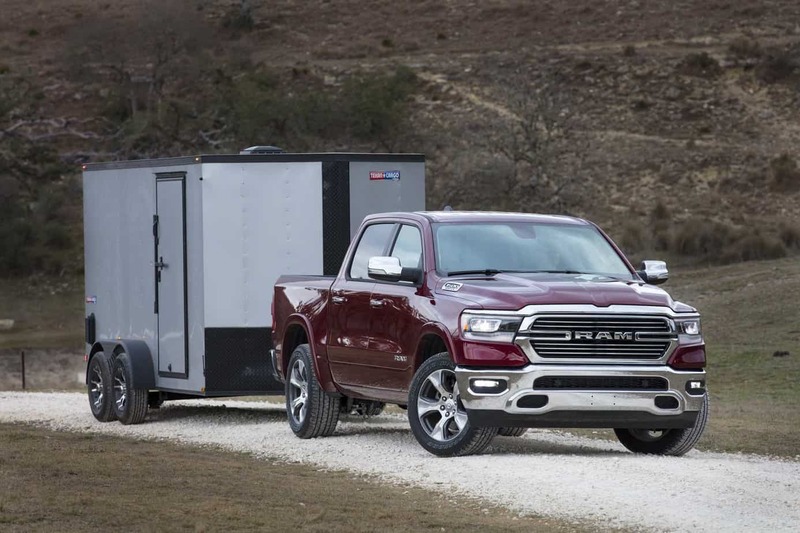 Although still marketed as a half-ton, payload and towing capacity have been increased to an impressive 2,300 pounds and 12,700 pounds respectively. 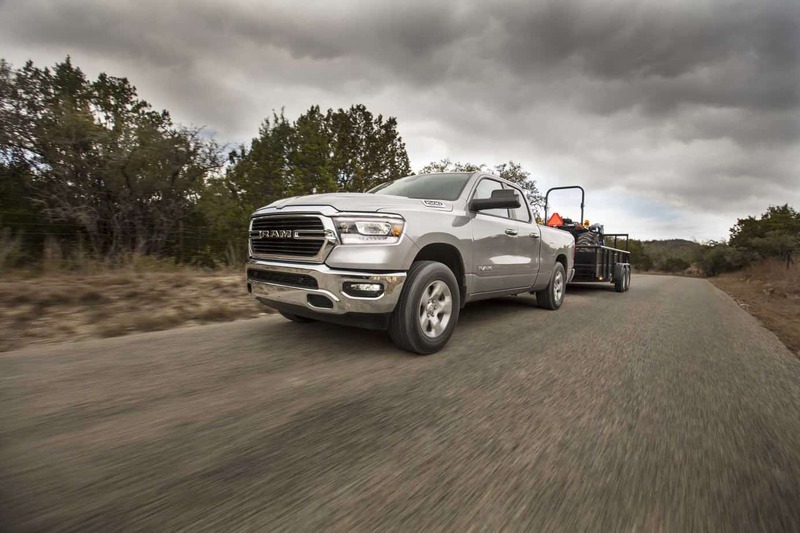 The Max Tow package (2wd models only) features a Dana Super 60 rear axle with 35-spline shafts, and larger rotors (14.9-inches) provide improved braking. While enhancing safety is admirable, my grip with the larger rotors is that they limit minimum wheel diameter to 18 inches, not ideal in reduced tire pressure scenarios. 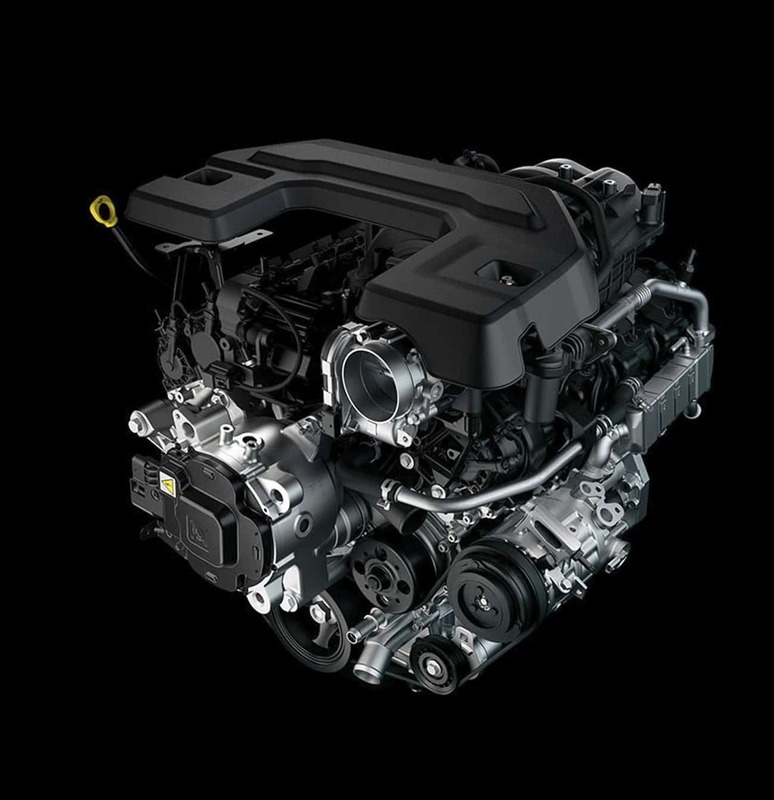 Powerplant options will still be the Pentastar 3.6-liter V-6 (Gen II) and 395-horsepower 5.7-liter HEMI V-8, but they have been updated with eTorque, FCA’s mild hybrid regeneration system. eTorque combines a belt-driven generator/motor, attached to the engine, with a 48-volt battery. During braking the generator engages and charges the battery. 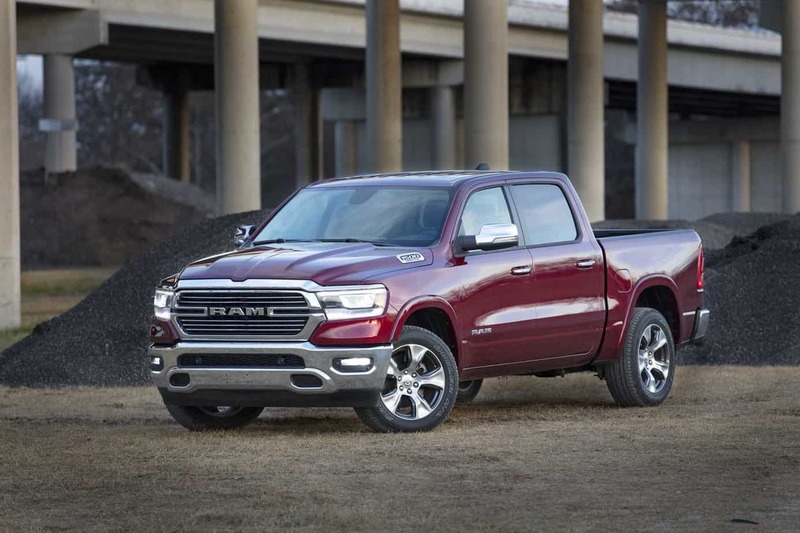 When accelerating the system provides torque assistance, up to 90 lb-ft on the Pentastar and 130 lb-ft with the HEMI, allowing them to sip less fuel. 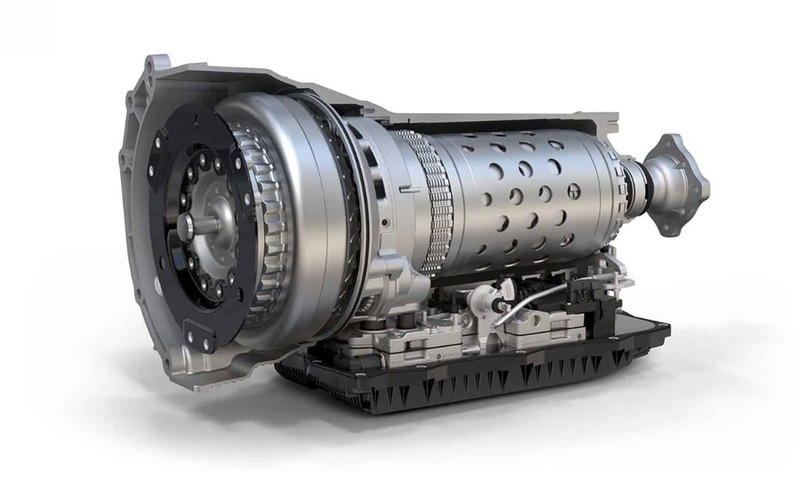 The TorqueFlite 8-speed automatic transmission has also been revamped. Updated electronics process data faster and manage the interface between the eTorque system and the transmission. The EcoDiesel isn’t available for the 1500 just yet, but we are told it is on deck for next year. Manufacturers are in a constant race to meet EPA and CAFE (corporate average fuel efficiency) regulations. 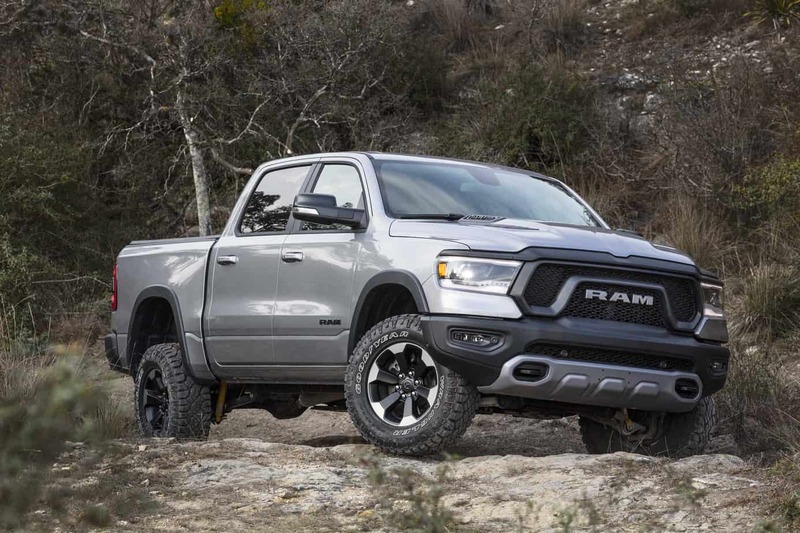 Ram addressed this challenge with improved grille shutters, a retractable front air dam, lighter weight exhaust system, and a number of aluminum body parts (hood, tailgate, etc.). 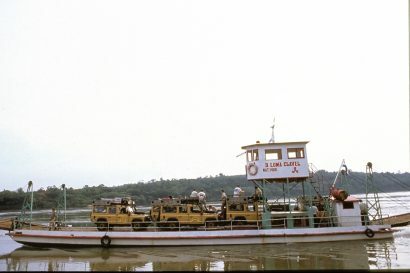 The body underwent a complete redesign, which resulted in a more aerodynamic form and reduced coefficient of drag. The new 1500 is longer and wider, and while bigger is not always better, most of the added real estate was dedicated to the cab, aft of the B-pillar. I found the reclining rear seat quite comfortable for my 6-foot frame. The deck is now flat from door to door, allowing for a full-length under-floor storage bin. There are also several tie-down points, handy for securing loose items. Up front, the multi-compartment console is large enough to fit a medium pizza—literally. 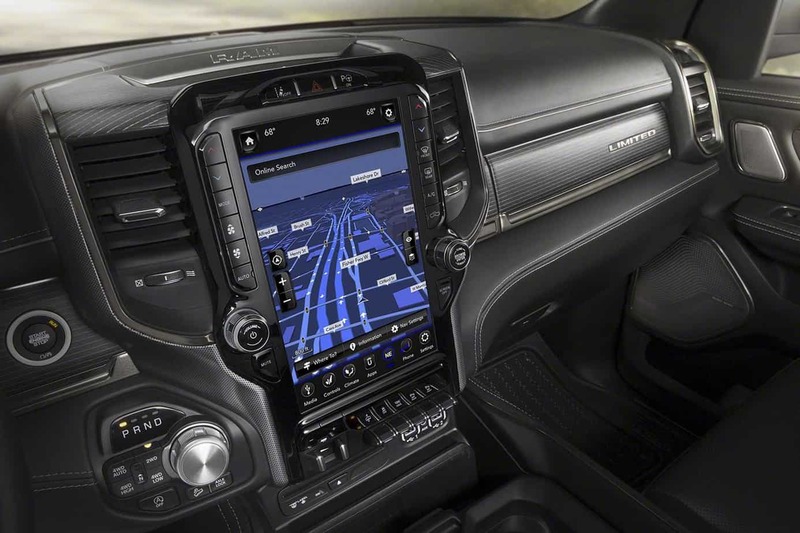 The Gen IV Uconnect system features an optional 12-inch touchscreen that can be split to run multiple applications simultaneously. Sirius XM’s 360L offers on-demand listening and the 900-watt Harman Kardon audio system (optional) will charm the most ardent audiophile. 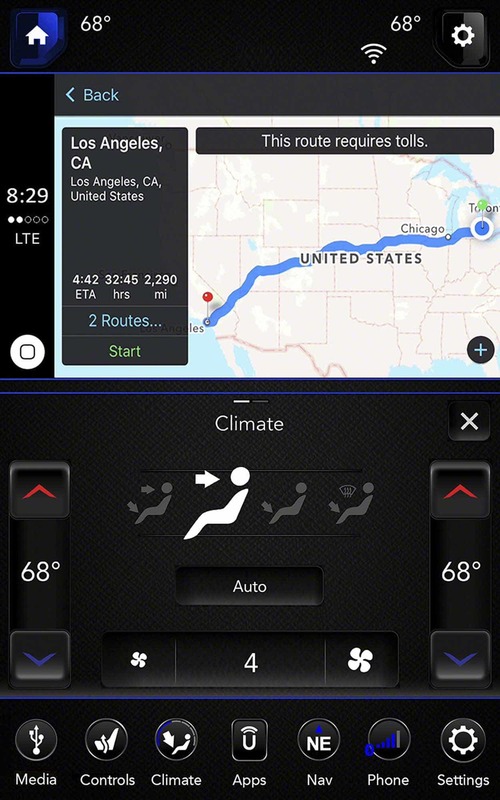 Android Auto and Apple CarPlay place your device in full view on the Uconnect screen, and the voice-activated 3D navigation system will let you keep your eyes on the road. 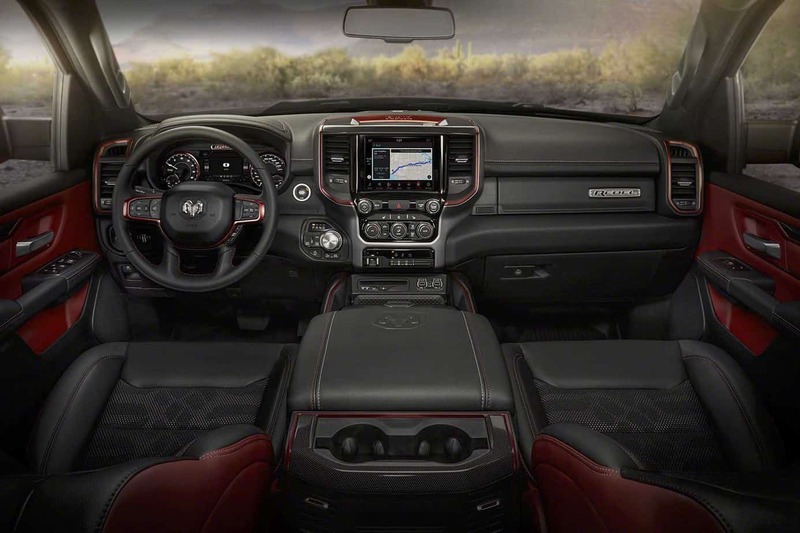 There are numerous 12-volt and USB ports, three of which sync with the Uconnect system, as well as an optional wireless charging pad. 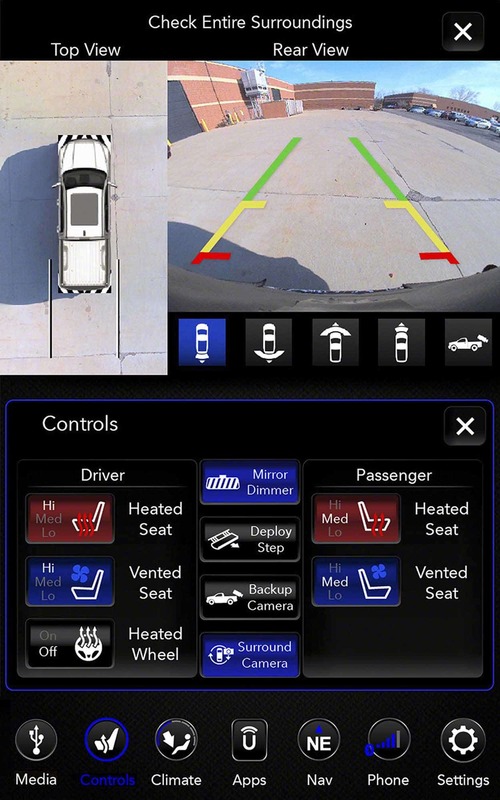 Electronic safety features include the normal suspects—adaptive cruise control, forward collision warning, ready alert braking, trailer-sway damping control, new 360-degree video monitors—and they work exceptionally well. My only complaint is with navigation system; you can’t update your destination unless the vehicle is stopped—nor can your passenger. I don’t get it? They should tie it into the passenger-side seatbelt sensor to allow for full function (while addressing safety). 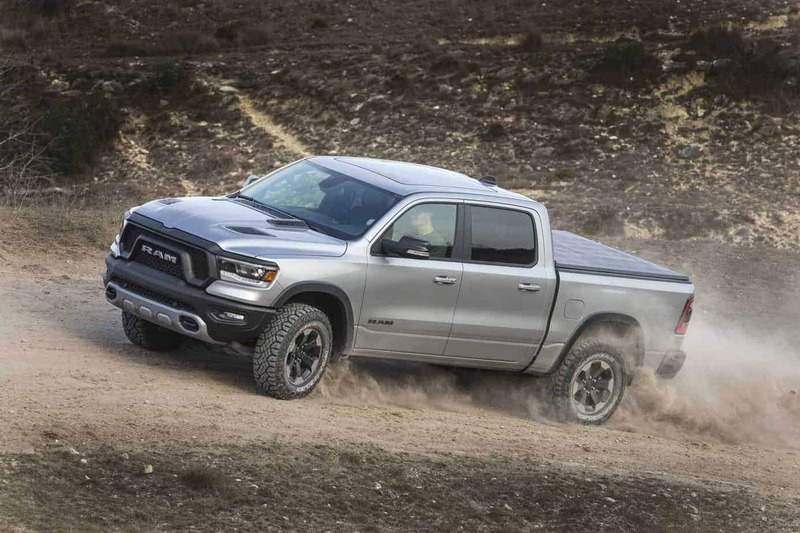 Having spent more than 10,000 miles behind the wheel of the previous 1500, this new model feels a bit more stable and predictable on the highway, especially during hard cornering and braking. 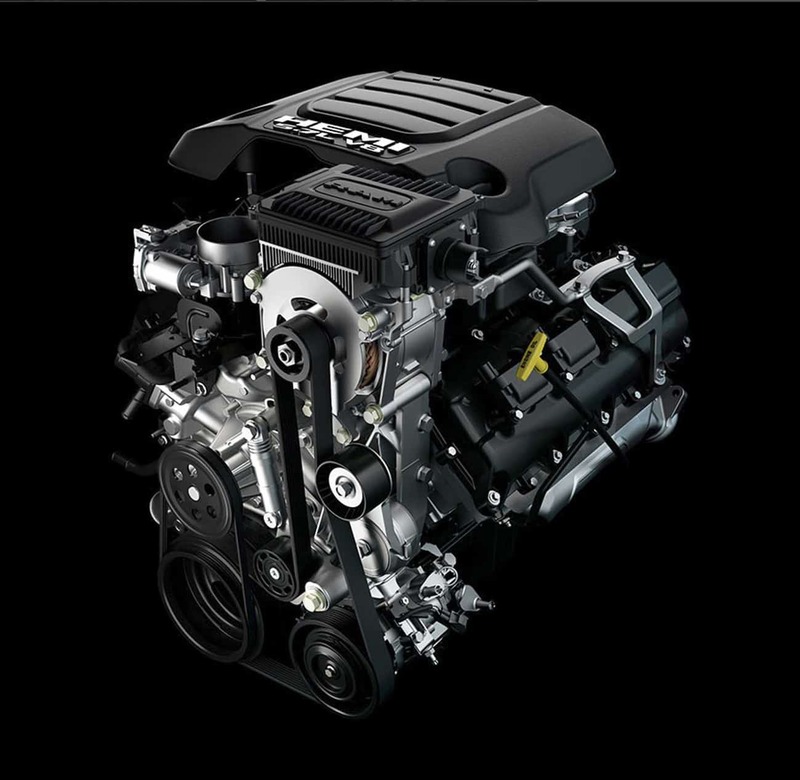 The eTorque system, while it assists the engine during acceleration, is a transparent addition with regard to driver experience. We were also able to hook up a couple of fairly heavy trailers (box unit and trailer/tractor combination) to the Laramie and Tradesman. 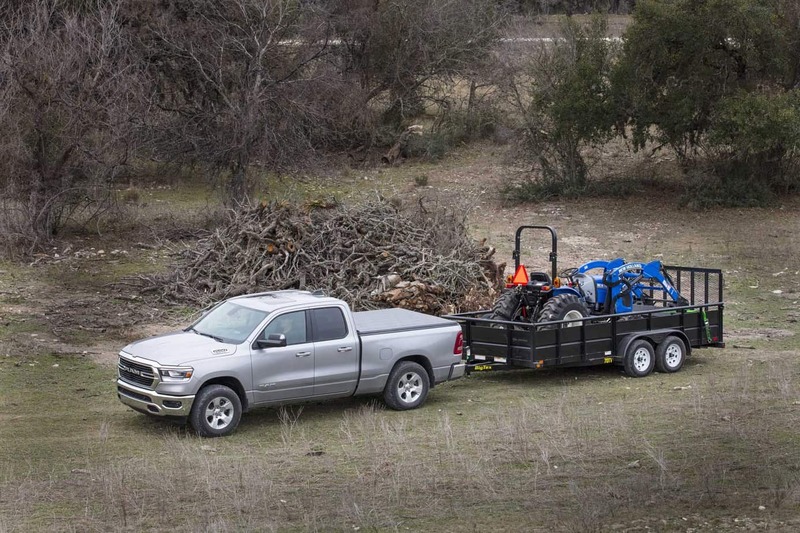 While the 5.7-liter Hemi doesn’t pull like the Cummins, the 1500, with its 12,700-pound towing capacity, felt right at home as a “semi” heavy hauler. 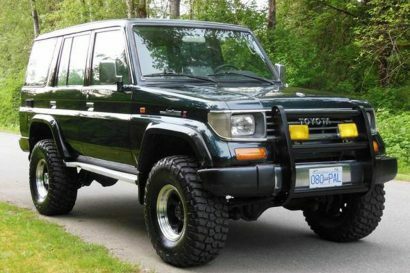 My time off road was spent in the Rebel. 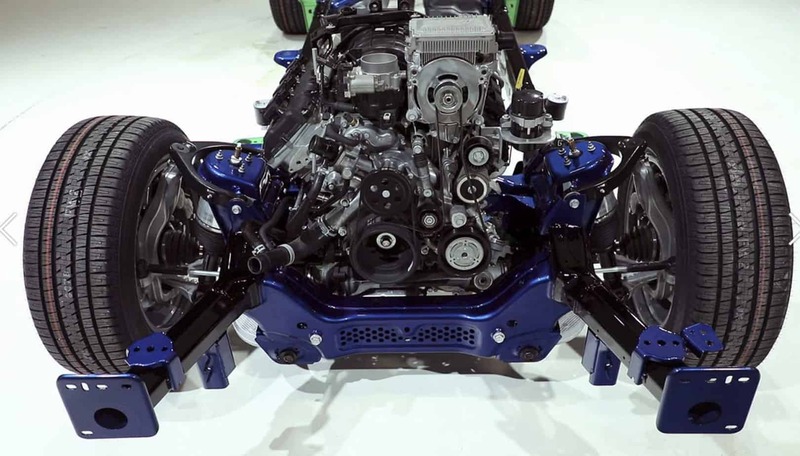 Its coil-sprung five-link rear suspension has been updated, as have the front coil-overs. 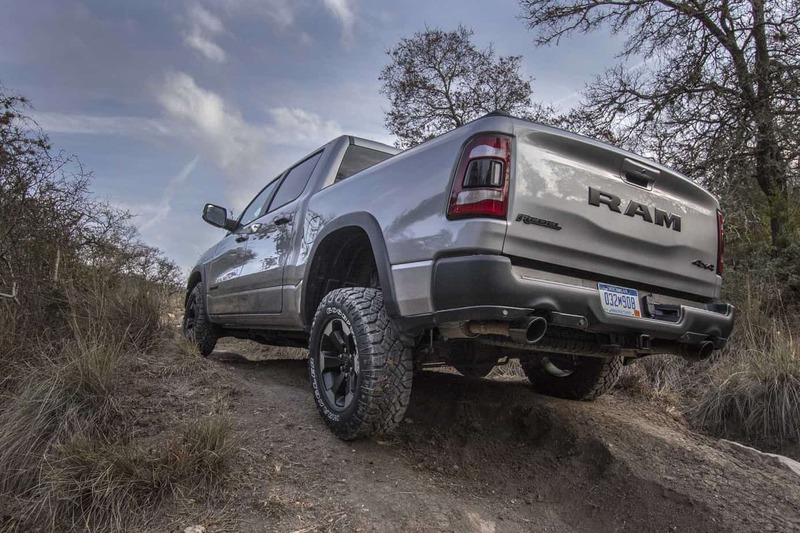 Combined with the performance tuned shocks, the Rebel was at home skipping over some fairly uneven terrain at speed. 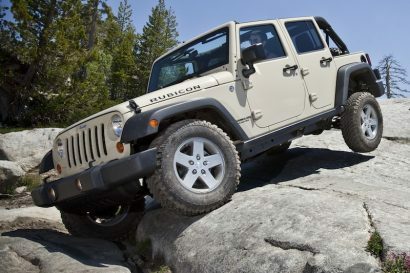 Big news for gear heads like me is the addition of an electronic-locking rear differential; previously only available on the Power Wagon. 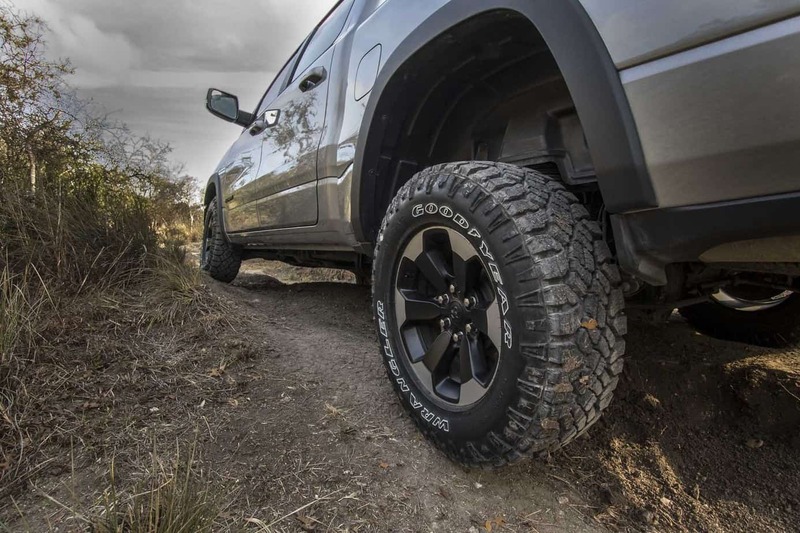 Although standard on the Rebel, it is included on all models with the optional Off-road package and is a huge benefit in cross-axle situations. 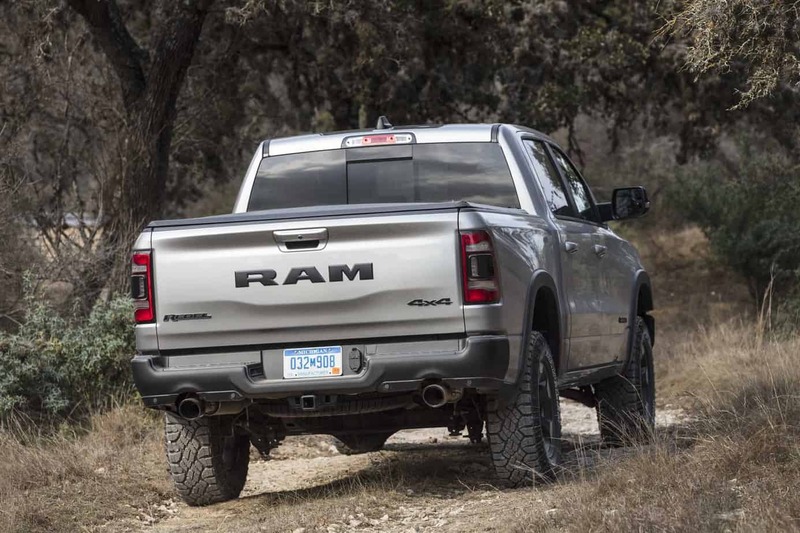 While bigger is not always better, I was very impressed with Ram’s new “pseudo” half-ton. 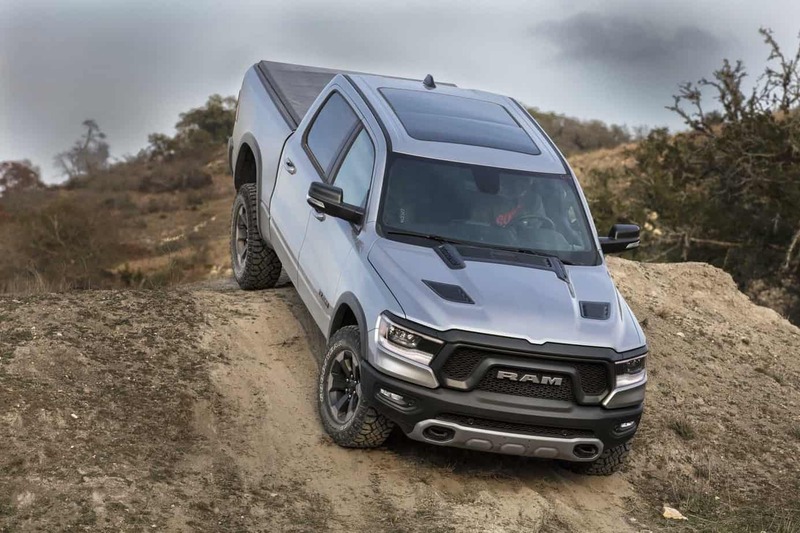 All 1500s will be built at Ram’s Sterling Heights, Michigan, facility, USA.